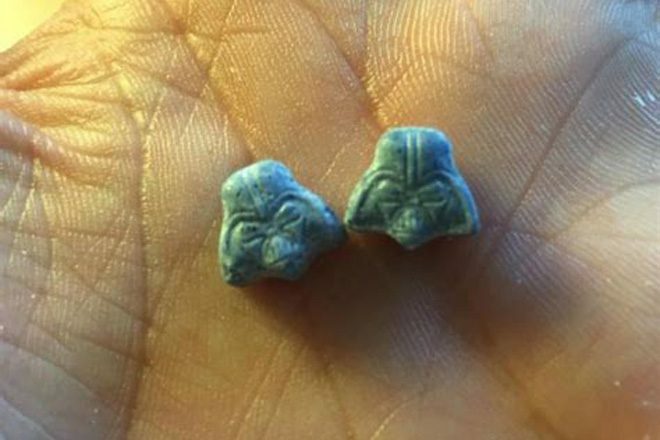 Pills shaped as Star Wars character Darth Vader have been labelled as a high risk by police. North and West Devon Police issued a warning about the blue pills, saying they contain a mix of MDMA, ketamine and cocaine and have led to teenagers falling ill.
Exeter Police believe the pills are being bought on the dark web and has called on parents to be mindful of their children. Detective Constable Chris Empson, of Devon and Cornwall Police, said: “This is not just really experienced cyber criminals, we are looking at teenagers who are looking at this tech for their own gain and this technology removes the physical barriers to crime in the future because they can do it in the comfort of their own bedrooms. In June experts warned about an "MDMA-like" substance, which could lead to psychosis, being sold at festivals. West Yorkshire Police also called on people to be careful after two children were hospitalised after taking 'Snapchat' pills. Festivals across the UK, including Bestival, MADE and Boardmasters, are introducing onsite drug testing this year in association with The Loop. The Home Office has said it won't stand in the way of the measures. Be sure to read this for information on safer ecstasy use.